We Numax Steels are one of the reliable & trusted names in the metal industry involving in manufacturing, exporting, importing a wide array of superior quality industrial Fastener to our valued clients. 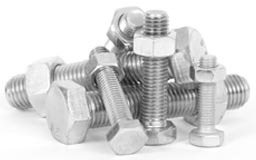 Our largest inventory comprises with a wide range of fasteners such as Nuts, Lock Nuts, Bolts, Fastners, Screws, Sheet Metal Components, Slotted Machine Screws, Solid Rivets, Hollow Rivets, Washers, Hex Head Nuts & Screws & many more. With the help of well-equipped & technologically advanced facilities we constantly producing these fasteners as per international norms & as per specification given by the clients. 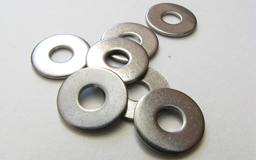 Contact us today and avail a free quote on our all types of fasteners. 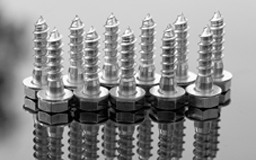 Form Bolts, Nuts, Screws, Studs, Screw, Hex Set Screw, Socket Screw, Sockets, Pan Head Screw, Machine Screw, Socket Head Cap Screw, Allen Cap screw, Wing Screw, Washers, Spring Washers, Studs, Anchors, Marine Anchors, Nut, Hexagon Nut, Cap Screw, Hex Nut, Hex Domed Cap Nuts, Square Nut, Stud Bolts, Structural Bolts, Hex Head Bolts, J Bolts, Socket Hexagon Head Screw, U- Bolts, Hex Coupling Nut, Mushroom Head Square Neck Bolts, Anchor Bolt, Wing Screw, Eye Bolt, Foundation Bolts, T-Head Bolts. Alloy Steel Fasteners 4.6 ,5.6, 6.6, 8.8, 10.9 & 12.9/ 'R', 'S', T Conditions. Morocco, Sudan, Vietnam, Ethiopa, Douala, Turkey, Kampala, Bahrain, Fez, Maiduguri, Sri Lanka, Lebanon, Australia, Houston, Colombia, Mbuji-Mayi, Port Elizabeth, Harare, Port Harcourt, Bulawayo, Ghana, Algeria, Algiers, Trinidad and Tobago, Kaduna, Venezuela, UK, Kuwait, Maputo, Mexico, Colombo, Nairobi, Thailand (Bangkok), Casablanca, Kano, Zaria, Ouagadougou, Indonesia, Russia, Singapore, Mogadishu, Jordan, Dakar, Peru, Iraq, Kinshasa, Italy, Alexandria, London, Mozambique, Kazakhstan, Yemen, Tripoli, Lagos, Saudi Arabia, Africa, Chine, New York, South Africa, Oman, Bamako, Lubumbashi, Khartoum, New Zealand, Omdurman, Freetown, UAE, United States, Durban, Tunisia, Cyprus, Conakry, Cape Town, Johannesburg, Canada, Addis Ababa, Dubai, Soweto, Egypt, Yaoundé, Kolwezi, Giza, Uganda, Pretoria, Accra, Democratic Republic of the Congo, Abidjan, Cameroon, Ibadan, Brazzaville, Malaysia, Subra al-Haymah, Azerbaijan, Abu Dhabi, Israel, Germany, Hong Kong, Nigeria, Cairo, Rabat, Qatar, Argentina, Iran, Benin, Angola, Antananarivo, Dar es Salaam, Brazil, Luanda. Hyderabad, Antananarivo, Karnataka, Cameroon, Nagapattinam, Ambala, Miryalaguda, Suryapet, Hong Kong, Pune, Kaduna, Maputo, Casablanca, Addis Ababa, New York, Giza, Pretoria, Jamalpur, Brazzaville, Buxar, Mbuji-Mayi, Puducherry, Andhra Pradesh, Cyprus, Tripura, Venezuela, Uganda, Ouagadougou, Benin, Subra al-Haymah, Colombo, Luanda, Accra, Dar es Salaam, Harare, Mizoram, Sadar, Dakar, Kampala, Jordan, Angola, Ibadan, Bulawayo, Jaipur, Betul, Ghana, Mumbai, Algeria, Bangalore, Tripoli, Ballia, Johannesburg, Yemen, Zaria, Muktsar, Omdurman, Mogadishu, Ahmedabad, Bansberia, Ethiopa, Cairo, Kano, Lagos, Bamako, Delhi, Conakry, Rabat, Kerala, Benin, Douala, Abidjan, Mozambique, Nairobi, Kolwezi, Russia, Morocco, Cape Town, Abu Dhabi, Maiduguri, Freetown, Kolkata, Algiers, Tadepalligudem, India, Baraut, Democratic Republic of the Congo, Oman, Chennai, Udgir, Fez, Durban, Port Harcourt, Bhiwadi, Surat, Qatar, Yaoundé, Bundi, Soweto, Thailand (Bangkok), Khartoum, Lucknow, Alexandria, Maharashtra, Kinshasa, Manipur, Port Elizabeth, Lubumbashi, Singapore, Lebanon.